Defense attorneys David Williams (standing) and Brooks McArthur (left) argue motions Tuesday for Sen. Norm McAllister (right), a day before his sexual assault trial begins. 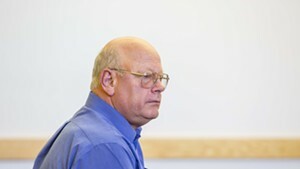 A jury of seven men and five women will file into Vermont Superior Court on Wednesday morning to decide whether Sen. Norm McAllister (R-Franklin) sexually assaulted a young woman who worked for him. 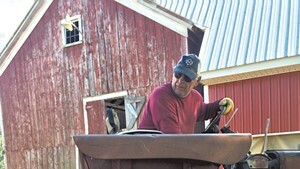 Charges against the 64-year-old McAllister will focus on alleged incidents in the barn of his Highgate Center farm sometime between January 2010 and May 2015, according to court documents released Tuesday. Exactly when those alleged incidents happened could become a point of contention during what is expected to be a two-day trial. The alleged victim, who is expected to be the first witness to testify Wednesday, has had difficulty pinpointing dates, Deputy State’s Attorney Diane Wheeler revealed during pretrial discussions in the St. Albans courtroom Tuesday. The woman, now 21, worked on McAllister’s farm milking goats from the summer of 2012 through March 2013. She later worked for him as an unofficial legislative assistant in Montpelier. Defense attorney Brooks McArthur acknowledged that exact dates are not required to find a defendant guilty. He indicated, however, that he will challenge the alleged victim’s credibility, including questioning her timeframe of the alleged events and the veracity of other allegations she has made against McAllister. 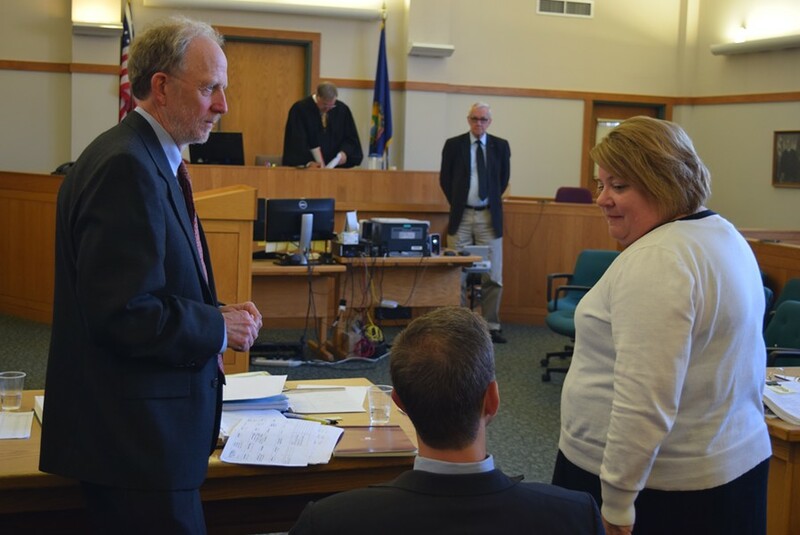 Defense attorneys David Williams (left) and Brooks McArthur confer with Deputy State's Attorney Diane Wheeler in Vermont Superior Court in St. Albans on Tuesday. 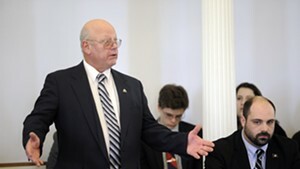 Those include allegations that McAllister sexually assaulted her at the apartment he shared with two fellow legislators in Montpelier. 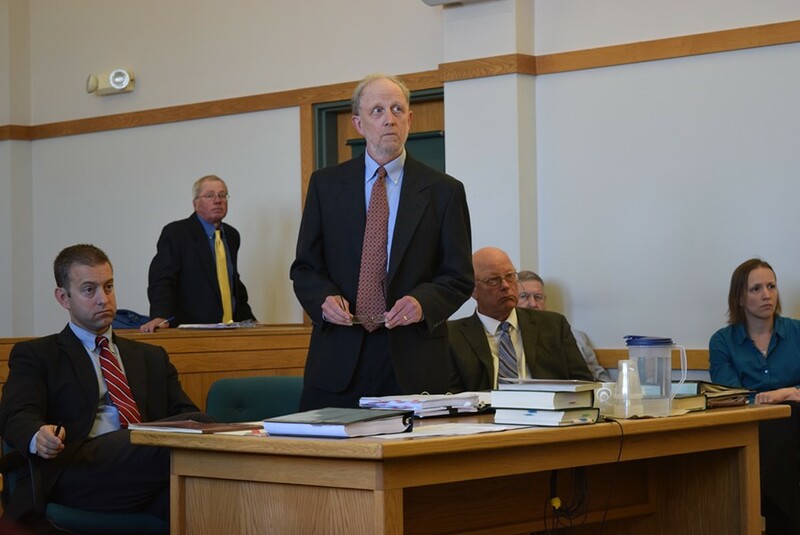 McAllister is not charged with anything related to events that took place in Montpelier, but both the defense and prosecution plan to question legislative colleagues about those allegations. McArthur said he wants to show that the senator’s legislative roommates never saw anything amiss. Sen. Kevin Mullin (R-Rutland) and Rep. Tim Corcoran (D-Bennington), who shared the Montpelier apartment with McAllister, are on the witness list. So are Rep. Corey Parent (R-St. Albans), who gave the alleged victim rides from Montpelier to St. Albans, and Rachel Feldman, chief of staff for Lt. Gov. Phil Scott, who worked with the woman in Montpelier. The alleged victim in another sexual assault case pending against McAllister is also expected to testify. Because McAllister’s attorneys won a ruling to exclude references to other alleged offenses, that woman’s testimony can’t refer to those allegations. Wheeler said the woman, who worked as a farmhand and lived in a trailer McAllister owns, has testimony to offer that is relevant to this case. “It’s not uncommon for testimony to be limited,” she said. As McArthur’s co-counsel, David Williams, questioned prospective jurors Tuesday, he asked them whether they had ever been falsely accused of anything, an indication of the defense’s strategy. Heads nodded yes. “Would everyone agree if you’re falsely accused of something, it’s difficult to prove?” he asked. Nods again indicated yes. Prospective jurors were asked whether they knew McAllister — a 14-year state legislator who is a candidate for Senate again this year — and whether they had heard of the allegations. In a case that has received intense media coverage, nearly all said they had. Most said it would not affect their ability to decide his innocence or guilt based on the evidence they’ll hear this week. Those who said it would were excused. One prospective juror, McAllister’s nephew, was dismissed immediately. Others who had travel or work commitments were also excused. Lawyers on both sides asked to have several potential jurors dismissed before ending with a panel of 12, with four alternates, after about four hours devoted to the task.